Not quite. Let's just say that it's been an awful time for my family for reasons unrelated to politics. But we're back. 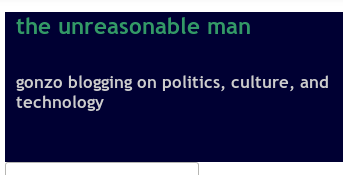 There's changes in store on several fronts, and so I'm not quite sure what ol' unreasonable.org will develop into, but let it be said that it woke up on May 1, 2018.